Access the Contact Chip Card Online Authentication (Cryptogram Animation) by clicking below. Prior to the U.S. migrating to EMV, industry stakeholders and some consumers had an understanding of how magnetic stripes are used to store and transmit data, as well as how other highly secure transactions are protected by encrypting and decrypting data using secret keys. However, the concept of “cryptograms” is fairly new and still ambiguous to many stakeholders and consumers involved in the U.S. EMV migration. 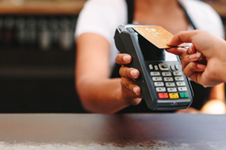 With this in mind, the EMV Migration Forum’s Communications & Education Working Committee created a presentation that provides a clear and concise overview of how an EMV transaction is secured. The presentation utilizes animation, straightforward messaging, and commentary to help the viewer understand the concept of cryptogram creation and validation in an EMV transaction. An alphanumeric value that is the result of data elements entered into an algorithm and then encrypted, commonly used to validate data integrity. The creation and validation of the cryptogram enables dynamic authentication.